Save 15% for Four Short Days! 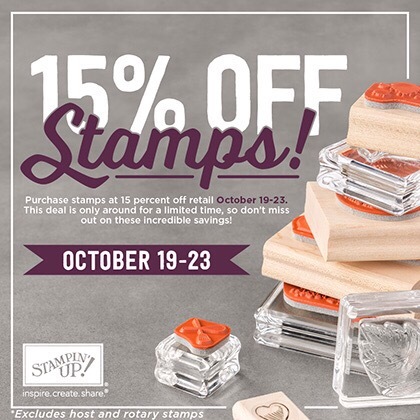 Those stamps you love…wait no longer!! Shop HERE! But hurry – October 19th to 23rd only.